"It's a BIG world out there! Explore with The Wild Adventure Girls!" SO SIT BACK, RELAX AND ENJOY OUR EXPLORE EPISODES! 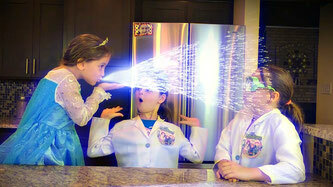 Today, we are going to show you how to turn water into instant ice in our super fun experiment! This experiment is fun for the entire family and you’ll be amazed how the water will freeze right before your very eyes! 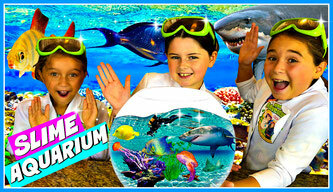 Today, we are going to show you how to make a "Real Slime Aquarium" with super clear slime and ocean sea animals! This slime fish tank will have you playing with slime for hours! We love making Volcano Science Experiments and today we will show you how to make a Volcano Eruption with glowing lava! Today we are mixing science with magnets! What is this magnetic liquid? 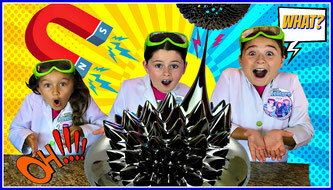 It's called Ferrofluid! Ferrofluid is a liquid that becomes strongly magnetized in the presence of a magnetic field. 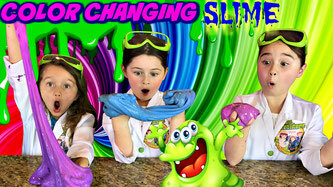 We love slime and we discovered that slime can be a lot more fun when it's heat activated and changes colors! 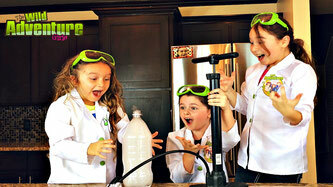 In Today’s DIY, The Wild Adventure Girls will show you how to make your own "Heat Activated Color Changing Slime!" 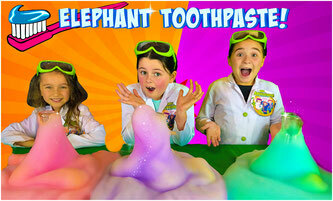 Today we are mixing science with elephants! Wait. What? This science experiment for kids has nothing to do with elephants and everything to do with a massive foamy chemical reaction! Learn How to Make Edible Water Bottles! 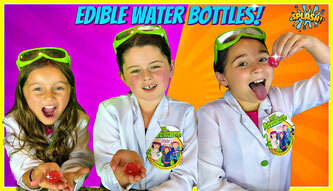 Learn How to make edible liquid water balls that can eat! 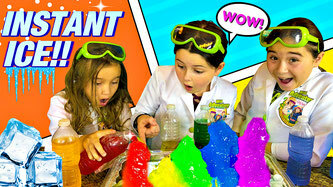 Today, we mix science with food with this fun easy to do kids science experiment! 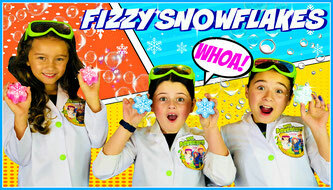 Frozen Activities: Fizzy Snowflake Science Experiment! Learn How to Make Snow with only 2 Ingredients! After you make your snow, you will get to see what happens when The Wild Adventure Girls take their snow and turn it into a SNOW VOLCANO! These are Magic NO POP Bubbles! Yes, you can actually bounce these bubbles with your hands with this fun science experiment for kids! Cloud in a Bottle Science Experiment! Have you ever wondered how clouds form? What's Inside? Cutting Open Exotic Fruit! Today we cut open some of the most Exotic Fruits from around the world! 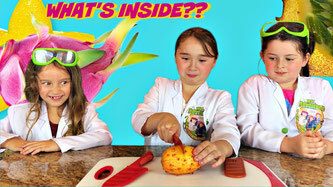 You will find out “What’s Inside” some amazing exotic fruits! Watch our EXPLORE Channel for More Videos!